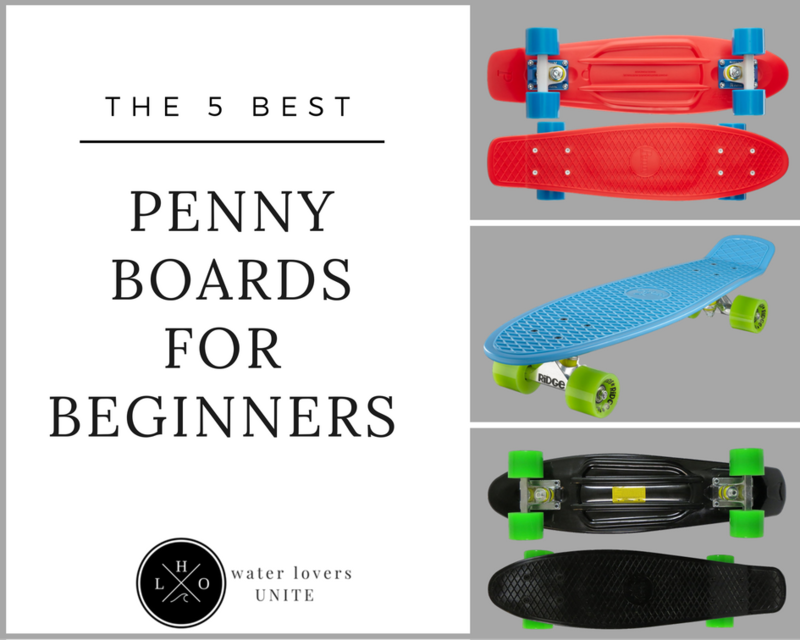 Finding the Best Penny Board for Beginners is easier than you think. 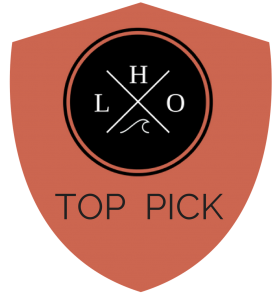 Here’s a rundown of our favorites including our top picks - the Penny Graphic Complete Skateboard. Penny boards are plastic, lightweight skateboards that can be used for cruising or for performing tricks. They are often decked out in vibrant colors and feature larger wheels for riding on the boardwalk, beach walk, or rough roads. Also known as a short cruiser, banana board, or retro cruiser, the penny board offers a smooth ride for beginners and experienced riders. While penny boards have recently become popular again, these boards are anything but new. The earliest plastic skateboards were created by former Venice Beach lifeguard Larry Stevenson in 1973. During the 1990s, Krooked Skateboards, Stereo Skateboards, Globe, and other brands emerged on the market. Penny boards are relatively short compared to your average longboard. They are made out of high-quality, flexible plastic that allow them to withstand extreme forces. As the boards are very lightweight, many riders like to carry them around to ride and as a trendy accessory. Unlike regular skateboards, penny boards offer a surf-like experience. Size: Penny boards are available in a selection of sizes to accommodate all riders. On average, board sizes include the 22-inch, 27-inch, and 36-inch longboard. The 22-inch offers the fastest time while the 36-inch is great for tricks. 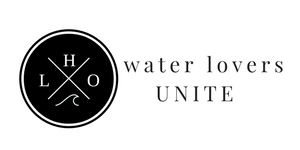 Deck: Today, you can find diverse design options for your penny board. The classic waffle non-slip top is no doubt one of the best. It offers better grip and control, allowing riders to easily deal with any situation they come across. Components: The components of a penny board make or break its performance. Opt for high-quality components which are long-lasting and will help ensure a smoother ride. 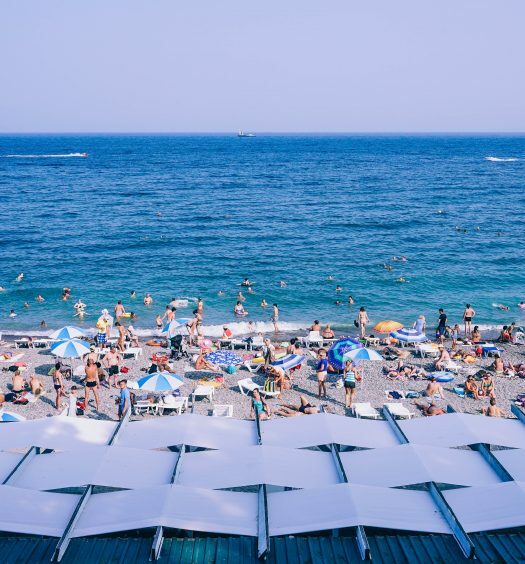 Material: While most quality penny boards are made of a stiff, flexible plastic that’s incredibly strong, cheaper boards may contain cheaper materials. Choose your board carefully to ensure that you’re getting an authentic product. 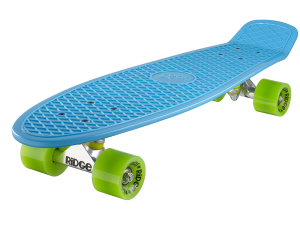 We begin our penny board review with this penny complete skateboard is a throwback design of the original penny boards of the 1970s. The Penny Graphic Complete Skateboard features a retro design and a compact size that makes it easy to throw into a backpack and hit the streets. Use it to cruise to school, work, or to the beach. What makes this the best penny board for beginners are its soft wheels which are perfect for gliding over sidewalk cracks and any obstacles you may come across. 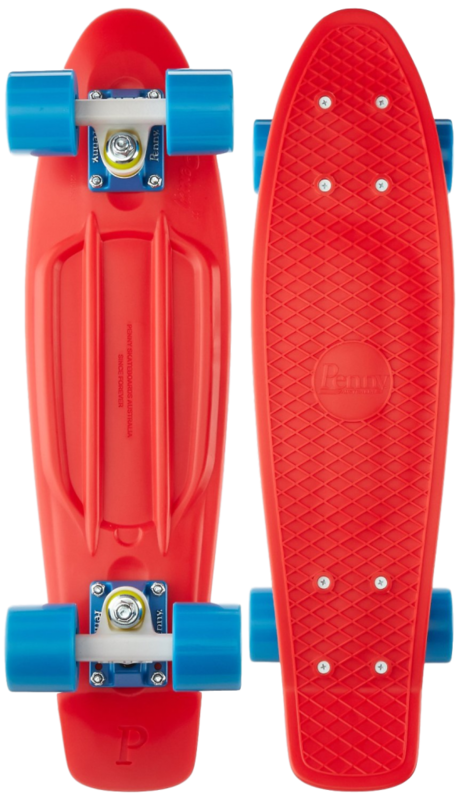 The board measures 22-inches and has 3.125-inch penny trucks and 59 mm penny wheels. Choose from a wide selection of colors and designs that reflect your personality. Designed exclusively for beginners and kids, the Sun Boards 22” Complete Mini Skateboard offers great performance and colorful decks and wheels. The board is constructed with a plastic deck injection mold which adds superior durability. Large urethane wheels allow for a smooth and efficient ride on nearly any surface. What makes a Sun Board the best penny board for beginners is that it’s fully assembled and ready to ride. It can accommodate riders up to 185 lbs. and is available in a wide range of deck and wheel color combinations. This penny board is perfect for kids and adults who are learning how to skateboard. What makes this next penny board unique is its slim board and cutout handle design. The Karnage Skateboard with Cutout Handle is the only plastic skateboard currently on the market with a cutout handle that allows for easy carrying on the street, beach, or wherever you go. The molded plastic deck measures 23 x 6 x 5 and has 3-inch alloy trucks. This retro penny board features a classic paint finish available in matte, chrome, or tri-color chrome. 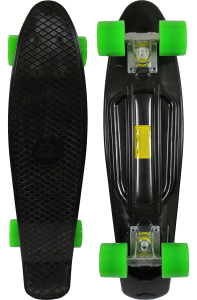 It also has Abec 7 bearings that have been mounted onto transparent “Gummies” wheels to ensure a smooth ride long-term. Its slim design makes it easy to bring your penny board with you everywhere and can be stored in cars or lockers. 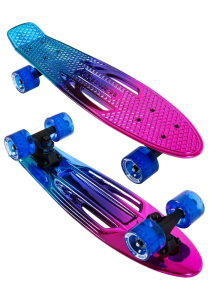 What many riders love about the modern penny boards are their outrageous colors and patterns. The EIGHTBIT 22 Inch Complete Skate Board features a cool retro design available in a selection of board and wheel color combinations that allow users to customize the look of their boards. We put this at the top of the list for best penny board for beginners due to its strong waffle-grip plastic deck, 3-inch wide aluminum trucks, and super smooth urethane-cored EightBit wheels. This board also comes with high speed precision stainless steel bearings and a high-tensile allen key. I highly recommend this penny board! Ridge has a great reputation in the skateboard industry. 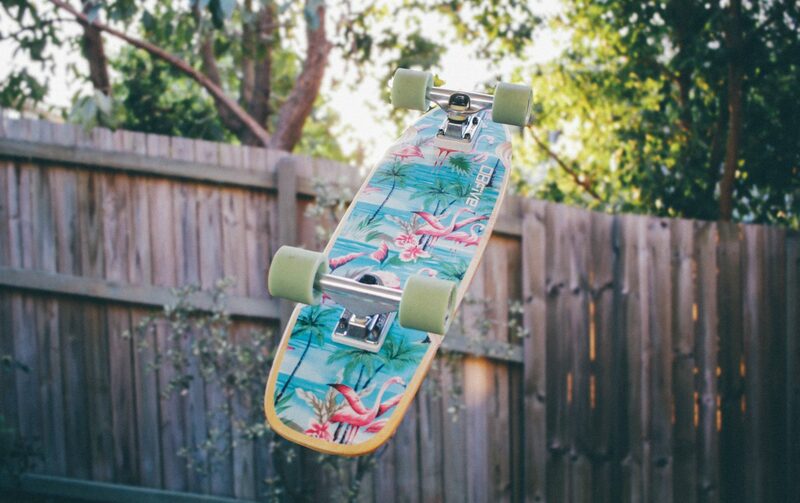 The Ridge Skateboards Big Brother Large Retro Cruiser is one of their top-rated boards. These large 27-inch cruisers are based on the iconic 1970s penny board shape. While the brand stuck with the same basic design, they increased the size and used higher quality components. This durable penny board is constructed using a secret plastic formula consisting of automotive industry-strength PU plastic, giving the board the perfect balance of strength and flexibility. It’s easy to customize your new Ridge board as there are more than 1,500 color combinations to choose from. This penny board is amazing!